When it comes to makeup, Instagram star Kadeeja Khan is ready to try anything. 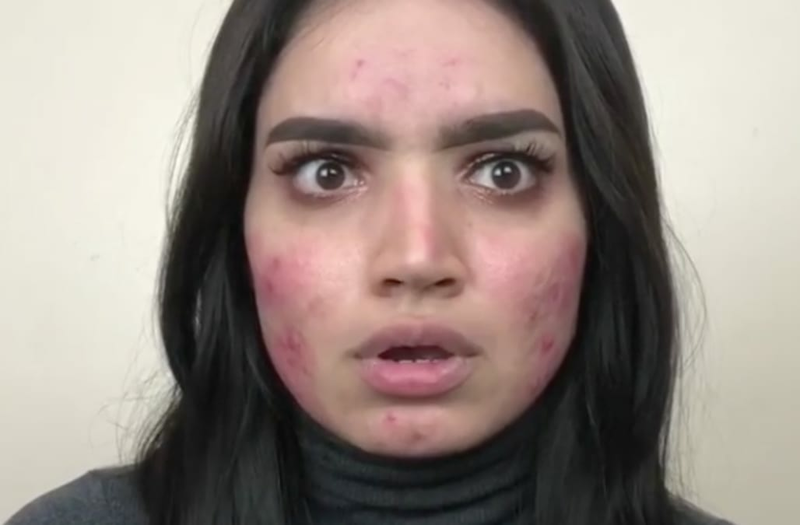 The beauty blogger, who has amassed over 126,000 followers on Instagram, frequently posts videos of her makeup routine and her experiences with different products -- and it's her latest post that's making headlines. In the video, Khan can be seen testing out Makeup Revolution's Fast Base Foundation Stick. Although the UK brand sells their stick for just $9, many are claiming it's even better than some more expensive, high-end products. So far, it's breaking the internet with its reviews. Despite Khan's flared-up skin, the makeup applies smoothly and easily. "I don’t want a foundation that makes my acne look worse than what it is. I don’t want a foundation that can see my green corrector beneath. I want a foundation that can lock in my discolouration & prone acne," she explained. "I never in a million years would think my go to foundation would be a drugstore product! I always thought the more expensive the product the better the outcome!". The budget-friendly product, which Khan describes as a "god-sent," launches today in the UK. So, we'll just wait patiently for its arrival to Ulta's US stores in April. Not to kill your optimism but a dude whos 65 told me he still gets blackheads! Suchhhhhhh a bummmmmmmmer! Way worst thannnngz but still suppppa lame! Made a new friend on tour! #iSuckAtRelationships We'll BOTH see you shortly, #Austin!